Brothers, the dogs of Lorgar have shown their treachery today. and make them pay for their betrayal of the Emperor in blood and death. rank of Centurion, Jay was destined to only ever be a Line Captain, his Superiors believing he lacked the Necessary qualities to rise much further. Veteran Squad Kaeso were accompanying Captain Jay as an Honour Guard within Numinus City itself when the atrocity began. This is actually further along than in this pic, only needs transfers applying now and its finshed! 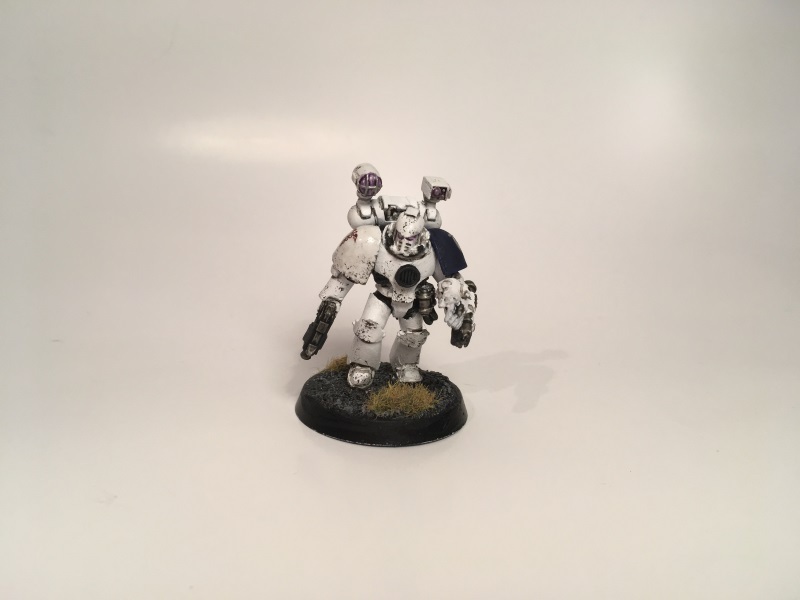 Some of you may recognize my thread from the WIP part of the forums but I thought I would post them over here in the Ultras subforums as well. 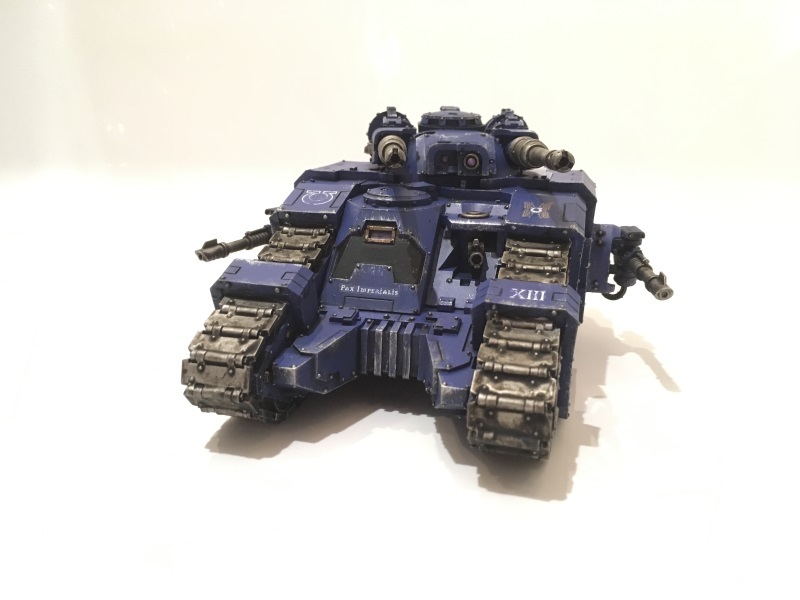 The plan is to get a playable fully painted 2000 point force done as soon as possible as I would really like to start playing 30K/40K, something I have never done in 14/15 years of me actually collecting warhammer. Once the 2000 point force is done, I'm slowly going to try and paint the entire 3rd Centuria (the pic at the top) with supporting elements. To some it might not be that great of a task, but I'm not the fastest painter in the world unfortunately and I have a tendency to get side tracked by other shiny things! I'm currently working on the 2000 point list, but will post it up when I feel like I am happy with it. 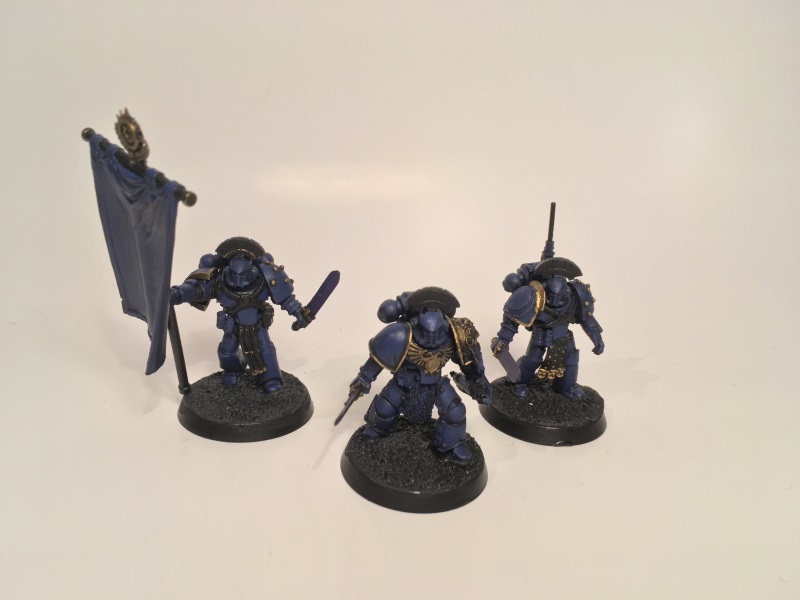 For now, heres just a few WIP pics of what else I am currently working on for the army! Also built and basecoated I have 5 Suzerain, a Land Raider, 5 cataphractii with another 5 in bits, another tactical squad and the B@C contemptor. I thank you all in taking the time to read/view my log and I'll try and do my best to churn out some painting in the meantime! Edited by Wulox, 30 November 2016 - 03:40 PM. 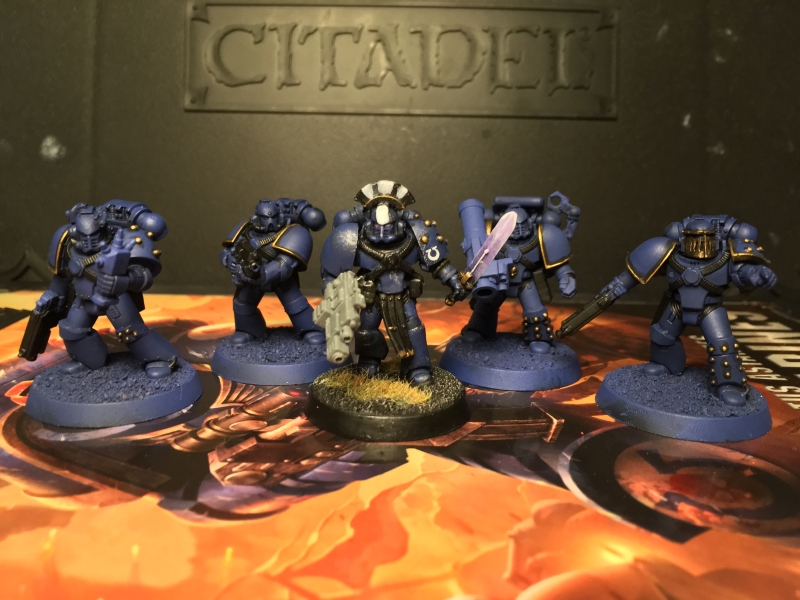 It's probably mentioned many time in response to your posts in the first painting challenge but I like the darker blue you've got going on here, it makes the black parts almost un-noticeable and to me makes the models look very uniform. The white on the apothecary looks very clean asides from the grime and from the photo has a ceramic or porcelain quality making it look impressive. There's a nice variety with the mk IV parts used and I think they could be red scorpions bits that make them look unique and the dog too, don't see many of them. Wolves yes but never dogs, not even a cyber mastiff. Edited by obsidian quacker, 05 December 2016 - 02:36 PM. Many thanks for the comments mate! I'm glad you like the blue, when I first set out painting them it sort of happened by accident as they weren't that dark in the tutorial/guide I was using, but I thought what the hell and stuck with it! You are correct with the red scorpions bits, I won an ebay auction that had a bunch of the red scorpion aquila chests in and thought they would make good stand ins for artificer armor. This was before the invictarii upgrades were released by FW which I would have preferred to use were they available to get when I first started building my force (yes it has taken me that long to start painting it) . The dog reminded me of the beginning of Gladiator when Maximus had his dog, so I knew I wanted to incorporate him into my force somehow. It's just a shame that only Forgelords can take cyber-familiars in-game! So, it's been a week since I started the thread and I've finally finished the Sicaran. I plan to buy a second as I think they always look nice in pairs hence the little bit of fluff. I've also pledged 9 tactical marines in the Ultras Reinforcement Rush so expect them to be posted up in the coming weeks! Oh nice! Got a new phone AND your pics actually work on it! I surely prefer GW's paint scheme over FW's for the ultras... But your stuff sure looks on point! Is that a 3rd party blue base-color? 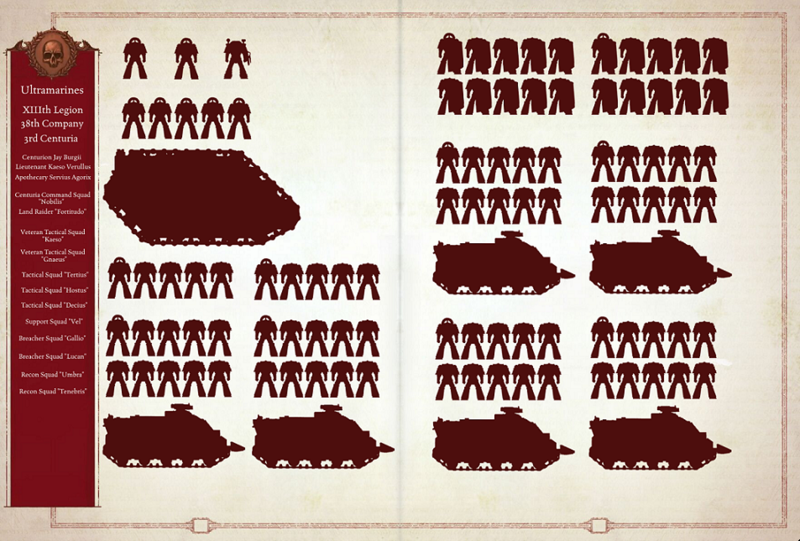 And those transfers, from the FW ultra sheet? More, please! Looks awesome. Where did you get that dog model? And fluff wise, did some astartes have them? However mine seemed to have turned out much darker than I originally anticipated, so I think I must have added too much nuln oil to the mix. Instead of going back and fixing it I just decided to rill with it instead. And yeah, the decals are from the FW sheet. They aren't too bad to use, but will probably be easier to apply if i get some microsol/microset! Cheers mate! 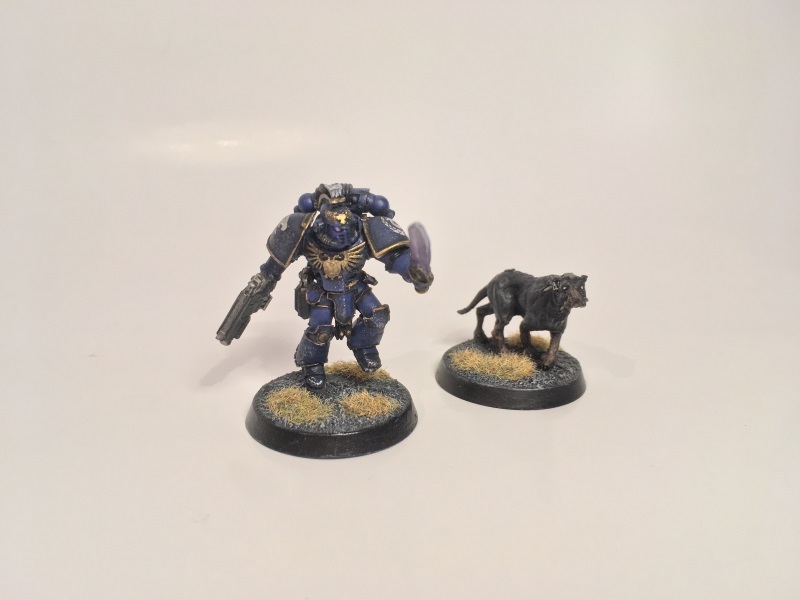 The dog is from the Forge world event only Arbites Enforcer. Not sure if astartes actually had them in the fluff, but I don't see why a Legion like the Ultras couldn't have them! Haven't really done a great deal of work over the holidays on my force but I'll get back into the swing of things shortly. I'm currently eyeing up the Leviathans on the FW store! Thought I'd prompt you to show us some more models! Sort of lost motivation if I'm completely honest. Trying to get back into the swing of things though! I'm looking forward to seeing the next batch too. Saying that, it's nice to take a break from things and persue some distractions so take your time and don't blow yourself out. I completely understand, I go through fits and starts. I have managed to play my 2.5K list quite a lot recently, however finding the time to paint is always hard. I will try to post up some of my pics of my 42nd company at some point. Many thanks brothers! Would love to see some pics of your 42nd Company Marcus, get em posted up! Thought I'd get some pics up of the Terminators I painted up for the Reinforcement Rush. Hope you like them! No more updates for a weeks as I've broken my thumb and can't paint at the moment! Sorry for the double post but I thought I would post up a family photo of everything that's painted so far! As you can see, it's pretty pathetic so far but I have plans for a lot more. 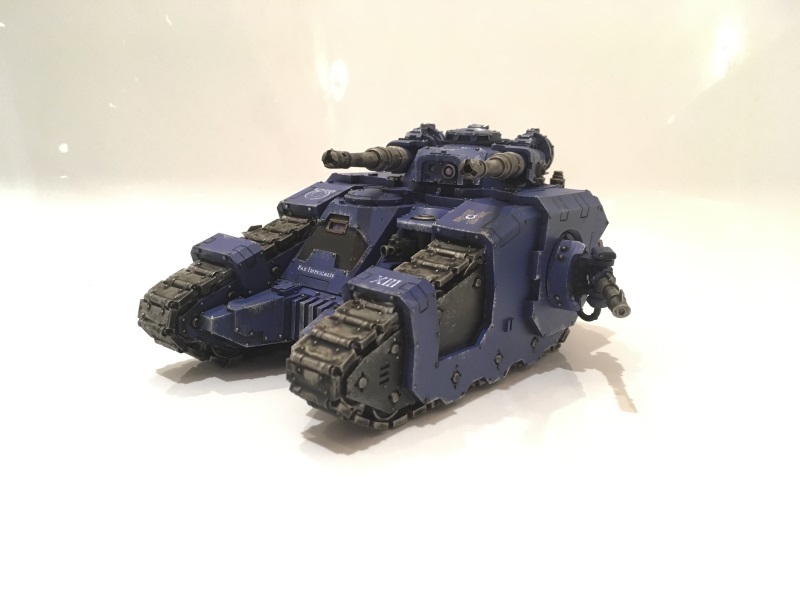 I currently have a Land Raider, 7 Suzerain, another veteran squad, a converted chaplain, a volkite support squad and a B@C contemptor sitting in a basecoat of blue. I also still need to buy a second sicaran and 2 more rhinos to have a playable force that I'm happy with. 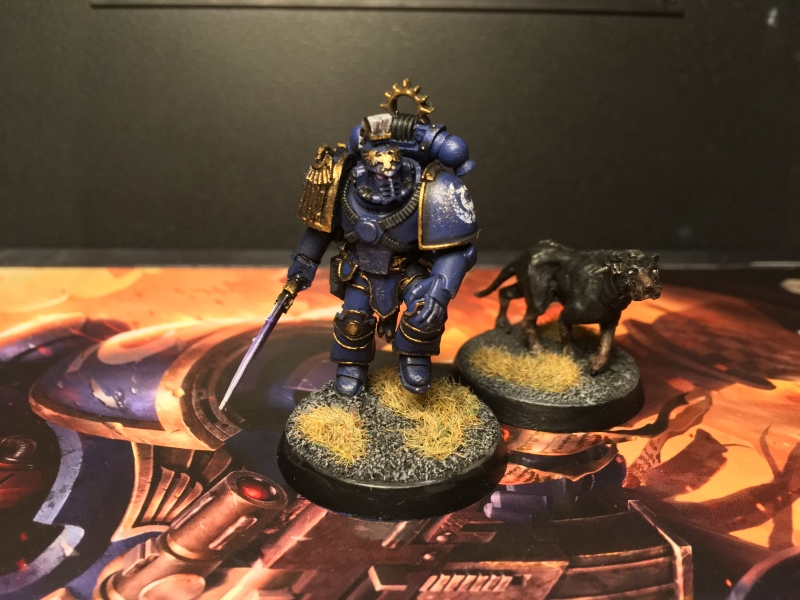 I also want to buy Guilliman at some point too but that's a ways off. 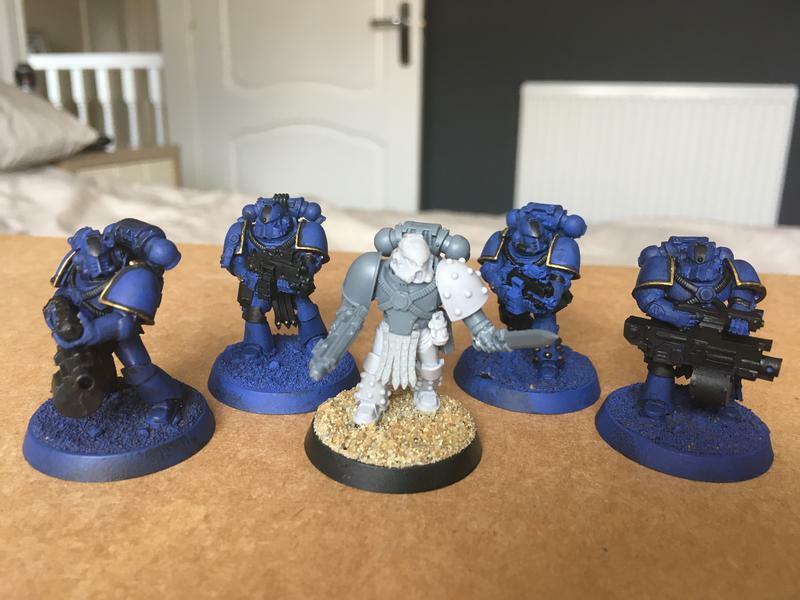 Just to prove I am still working on my army slowly, I've got some WIP pics of my second veteran squad to post up. Apologies in advance for the shocking photo quality, I did them rather quick and they looked okay on the small screen of my phone! Will get much better pics up once I have finished them. Swapped the original Sergeant out and replaced one of the marines with a newer one. 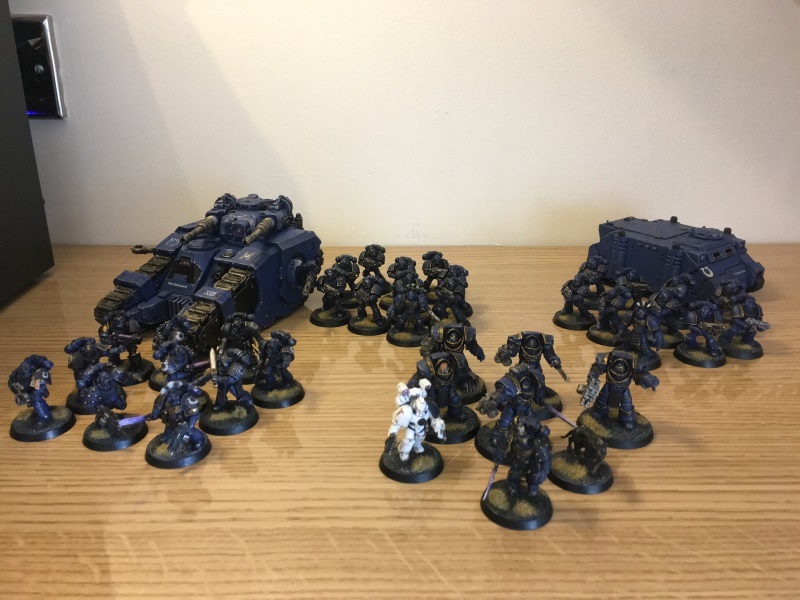 With the release of 8th, I am now having to edit my army to fit the 8th edition marines army list, as I have no heresy players to play against only 40k opponents that have no interest in starting 30k armies just to play with me. It's still a 30K army fluffwise, just using the 40K rules. Luckily I don't have too much to change, as my army was pretty basic compared to most 30k lists and I can still use my sicaran easily with the FW rules. 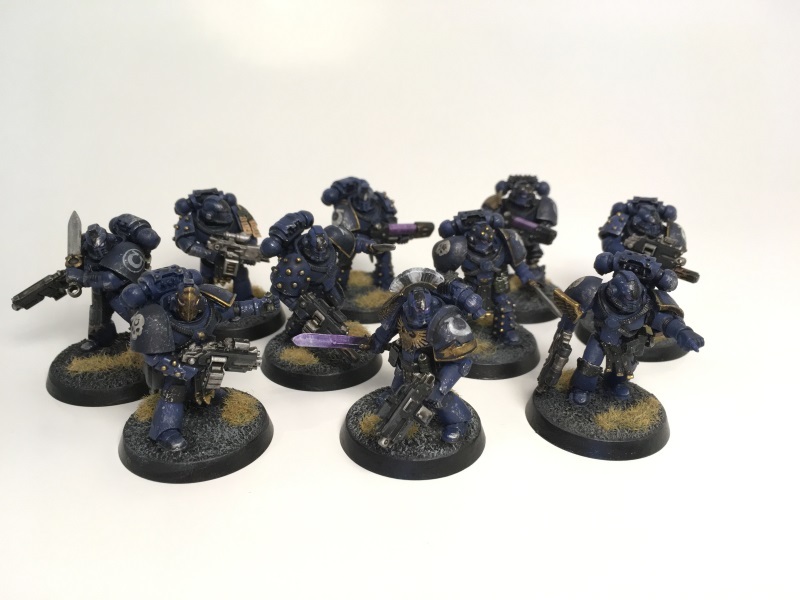 I'm also not happy with how basic the B@C tactical marines look compared to my veterans, so I am thinking about retiring them and using my veteran tacticals as regular 40k tacticals. I'd be interested in anybody's thoughts on this? Thank you for looking and I hope to get finished pics of this squad up over the week! Edited by Centurion Jay, 19 June 2017 - 04:56 PM. Glad to see you back at it! Your guys look awesome to me.. but everything looks better in blue! I think your Tac marines look fine right now. Remember whilst your veterans have probably seen 100's of compliances and are old hands at this, your Tac marines are fresh out of the gene labs and hence probably haven't seen action, so they would be relying on their training. 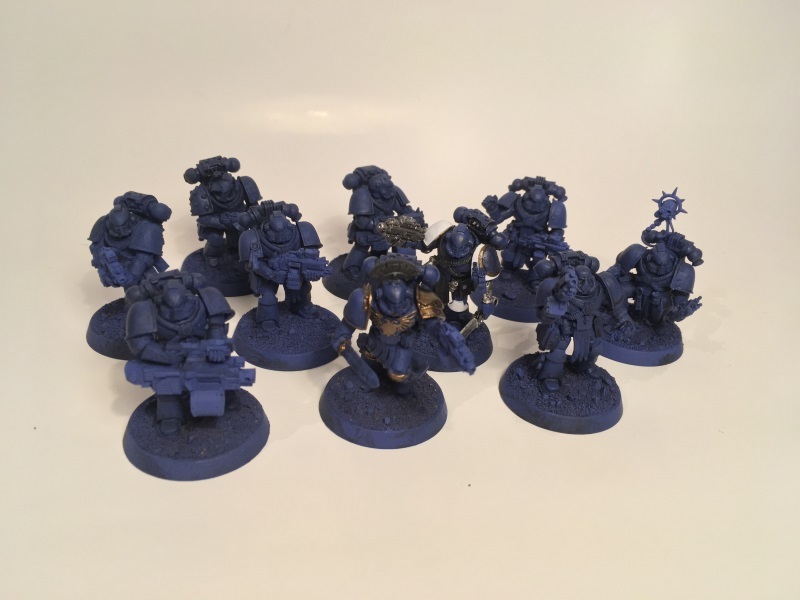 Consider also the theme of Calth, a completely unexpected betrayal would drive other less disciplined Marines crazy, however not the Ultramarines! Their rock solid discipline and approach is what makes them unyielding in the face of the traitorous Word Bearers. Shame there's no 30k group near you, have you tried the 30k forums for local info? Thank you for the comments, they are appreciated! 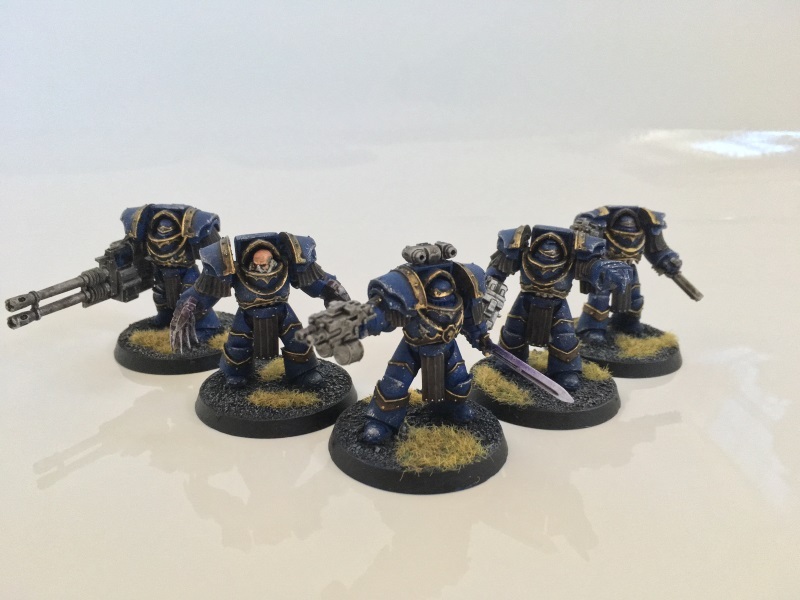 I think once I have swapped out two of the marines for a heavy weapon marine and a special weapon marine for each squad it might add a little more character to them. Still slowly plodding away painting this veteran squad, nearing completion though. I'm busy these next few days though so wont be able to get an update until the end of the weekend I think! There isn't much of a 40k scene let alone a 30k scene at all in my town, my only opponents are some friends I have where we play at one of their houses! I love the effect on the swords - they look almost like crystal! Would you happen to be willing to do a tutorial on them? They don't look that good in real life, but thats down to my poor painting haha. However I substituted the green for Incubi Darkness Purple, and then just added a little bit of white to the mix the further up the blade I went. Looking great, CJ! That's already a decent-sized force and I look forward to seeing what you add to it over the coming weeks/months. Other than that I've not made a great deal of progress on the army as a whole. I am trying to finalise an 8th edition army list for them before I buy anything new! 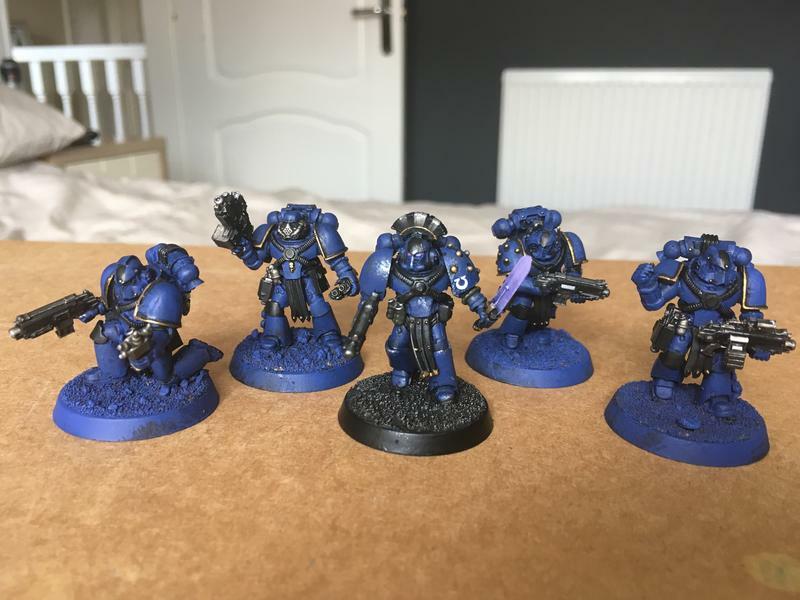 So, I've been slowly doing stuff to my Ultramarines but haven't really been taking many pictures of it. 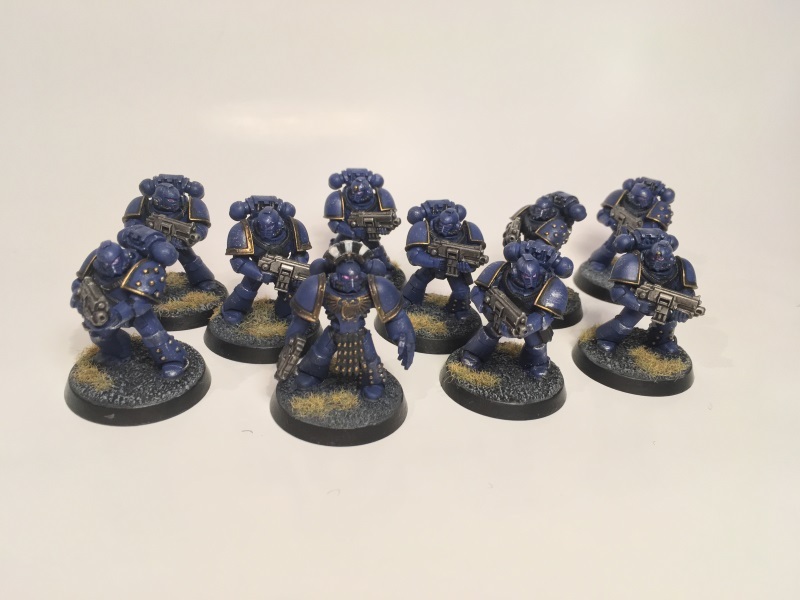 Since I last posted I haven't finished those Sternguard, however I have since built and painted 5 new Tactical marines for my current two tactical squads to make them less boring. Currently no pictures of those but I will get some up eventually. I've also nearly finished my Land Raider, the main body of it is finished with just the side sponsons to paint. I've also built and basecoated a Jump Pack Lieutenant who is in my painting queue. I have however, re-made and painted my main HQ choice, Centurion Jay Burgii. As I am now using 8th Edition rules to play my force, he is now a Captain with Relic Blade and Santic Halo. He looks incredibly similar to the original but is made from all new parts. 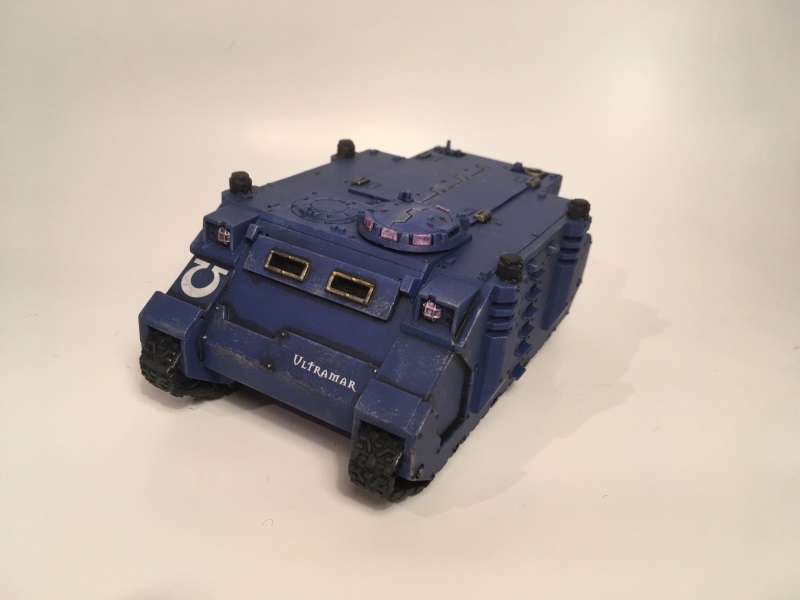 I wasn't happy with the previous one for many reasons, the conversion job was very rough and used some parts I didn't like and the paint job wasn't that great and too dark shade of blue. Overall I'm very pleased with this version of him and shall not be changing him again in the foreseeable future. They are far from finished and I need to go back and fix the sergeant who has received a new combi-plasma from the armoury and a half-repainted helmet to have a sergeant stripe running down the centre which needs some clean up work. I'm hoping to get some pictures of everything that I have done in the meantime that I don't currently have pictures of posted up in the next week or so. My friends and I are also planning a trip to Warhammer World this weekend or next where I am intending on getting a Leviathan Dreadnought! Awesome force, really strong theme. Are you going to add white parts for the elites? I'm not too sure at the moment, my veteran squads all currently have a black kneepad and a black stripe running down their helmet. I originally tried going for white shoulderpads on them, but I couldn't get the white to look as smooth as I would have liked so opted for the black instead. They have a sort of special opps feel to them. The kit bashing really adds to the individuality of the force. 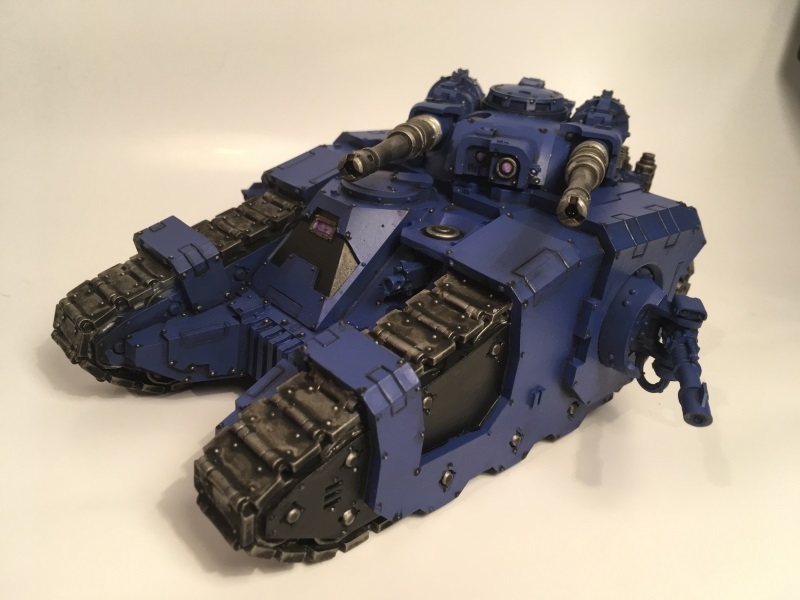 The Sicaran is one of my favourite astartes tanks and you've done a great job on yours.